"Toppings of two kinds of berries and honey and whipped cream to French toast where egg liquid soaked firmly"T's French toast Honey Double Berry"And plenty of honey and maple syrup with bananas"T's French toast Maple Honey with Fresh Bananas"Tully's released. 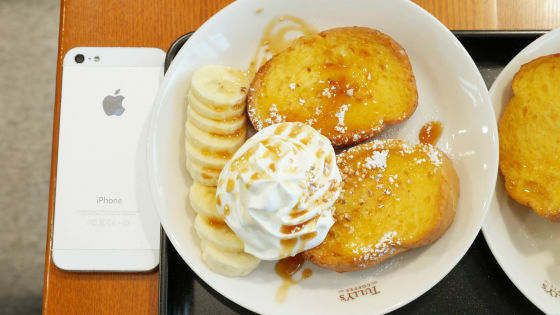 Even though it is said that French toast is a bite from fluffy to eating and respondingThere are many kindsHowever, I actually ate at Tree's French toast how it is finished. 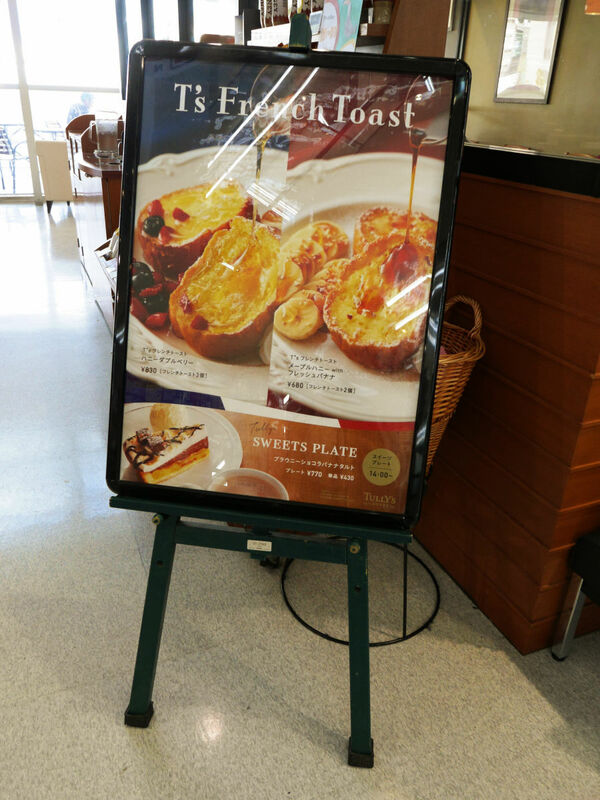 I also found a picture of French toast at the shop front. 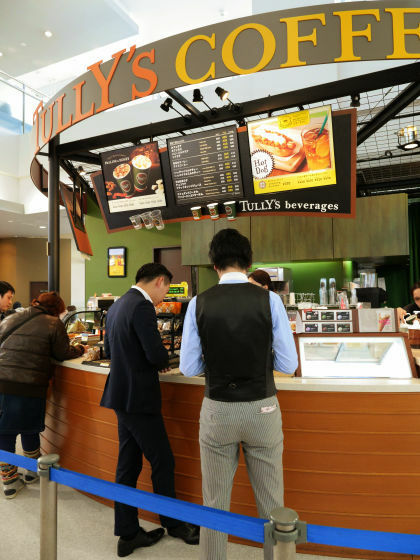 I will place orders side by side at the cash register immediately. Not like baking a frying pan on the spot like a French toast specialty store, it is a form of warming up what is already cooked in an oven and doing topping, but it took several minutes until the item came out . 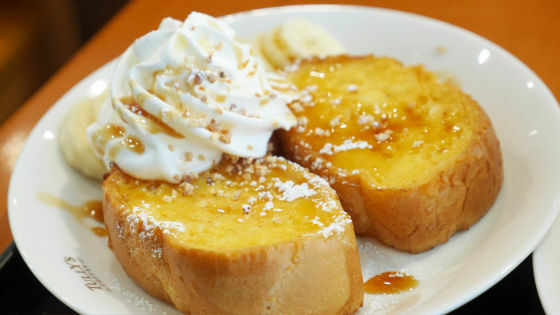 Two types of French toast received are as follows. 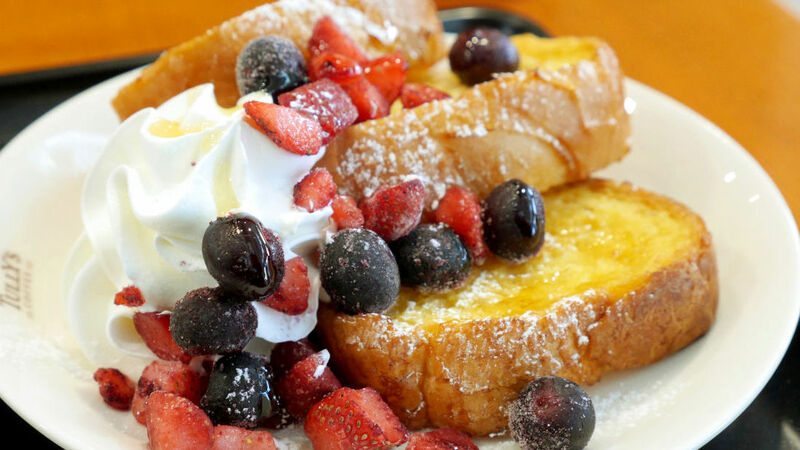 This is T's French Toast Honey Double Berry. 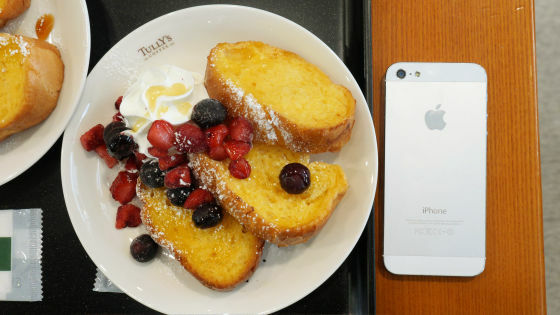 There are three French toasts on the plate, and the size of a piece compared with iPhone 5 is about this. 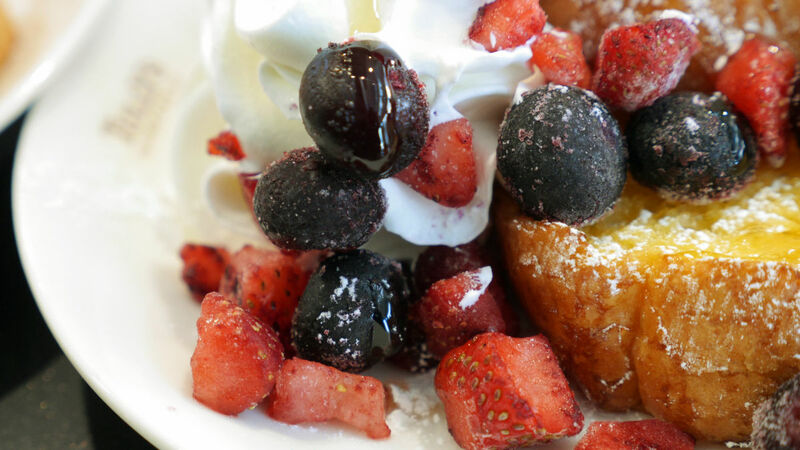 Next to the French toast are whipped creams and blueberries and strawberries that are still frozen yet. Overall there was plenty of honey on it. 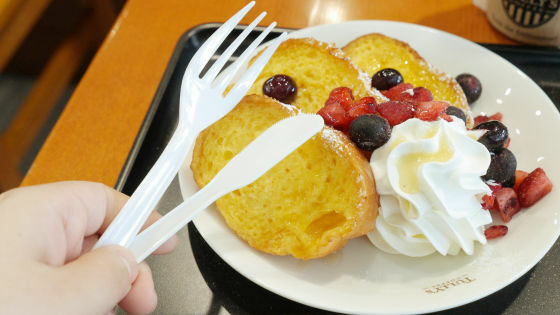 So I will eat it at once. I cut it with a plastic knife, the fluffiness around the middle of the fabric, but the part of Mimi was solid and it was hard to cut. 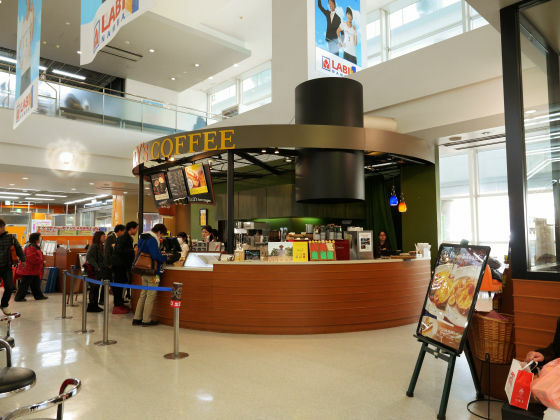 First of all it is a bite. 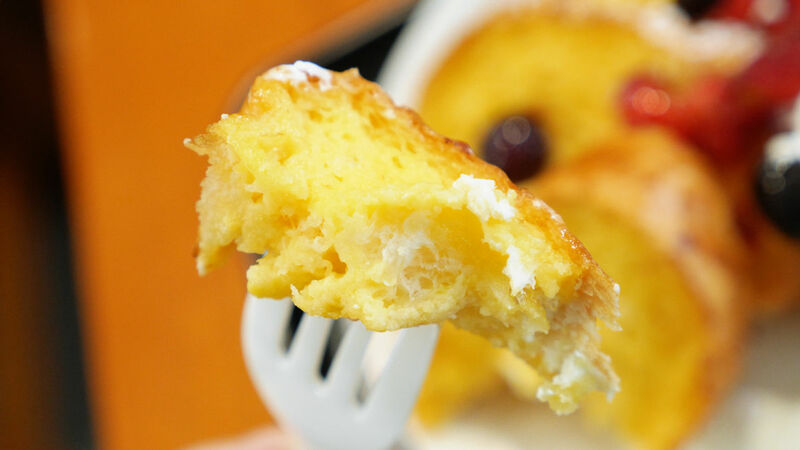 There was also a part where the egg solution was not smeared a little, but on the whole it was solidly soaked with liquid, it was fluffy and rich in mouthfeel. 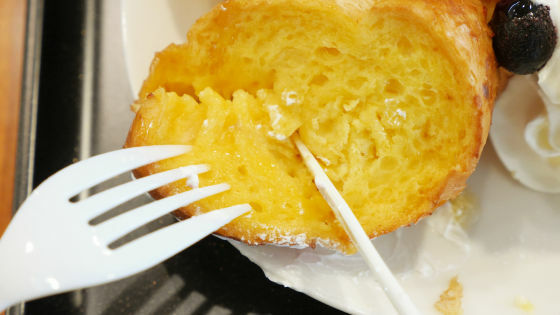 When I tried to eat a part not hung on honey, I felt the flavor of eggs and milk, I finished it with a sweet sweetness. 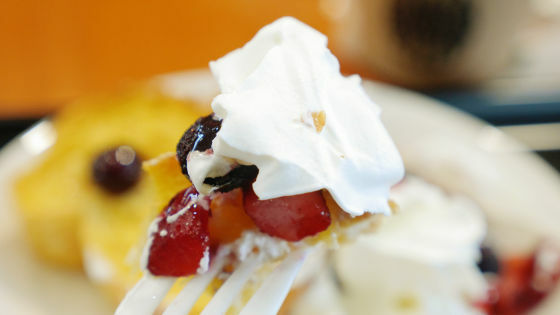 When you eat with whipped cream, honey, double berries, you dessert completely. 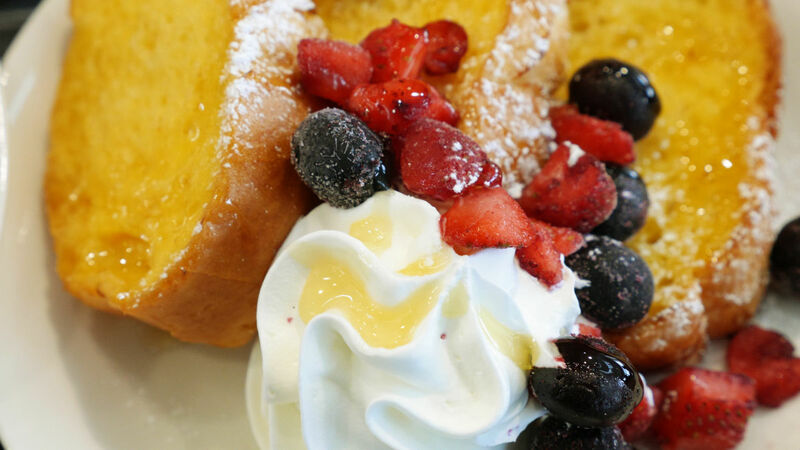 The sweetness of honey is not as bad as those of somewhat stronger, but the compatibility of the mildness of whipped cream and the slightly frozen cold berry is good. 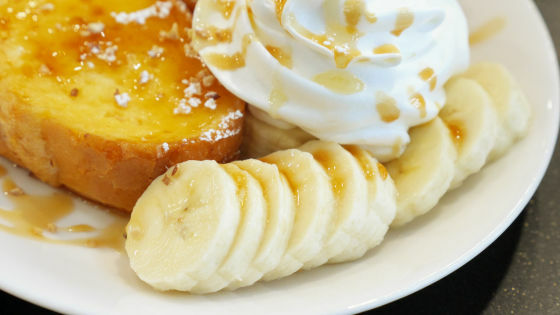 Next is "T's French toast Maple Honey with Fresh Banana" I will eat. Unlike Honey Double Berry, two pieces of French toast are cut. 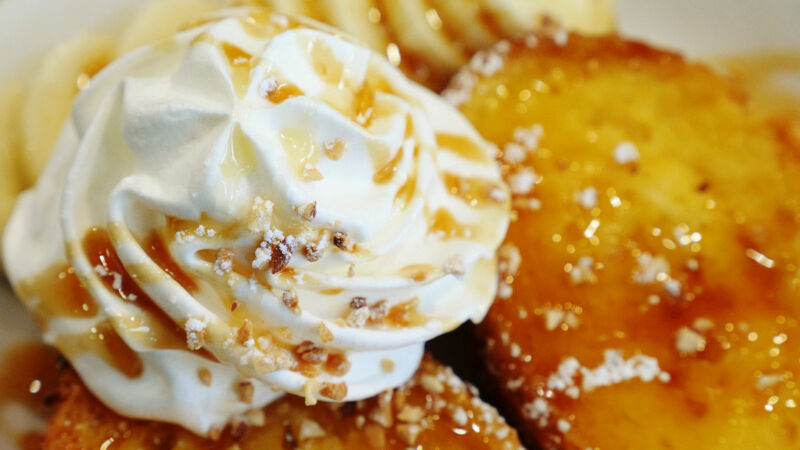 Whipped cream is included and cut almond · maple syrup · honey is put on. About half of one sliced ​​banana. This was plenty of maple and honey as well. 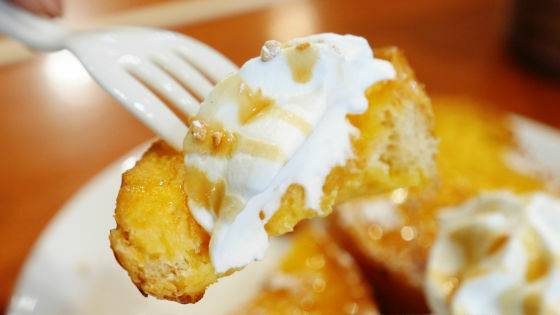 As I eat it, whipped cream is not very sweet, but a rich aroma of maple and honey source spreads in my mouth. French toast is flavorful as well as honey double berry, and the compatibility between Maple & Honey and Cream was of course outstanding. 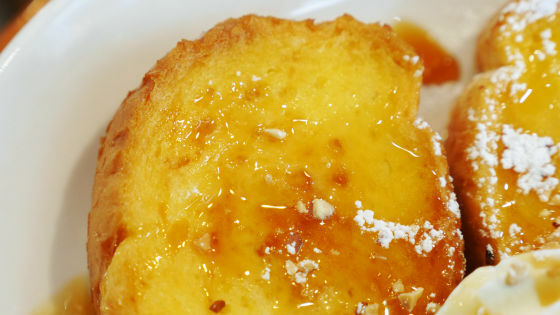 Why is this French toast one less? 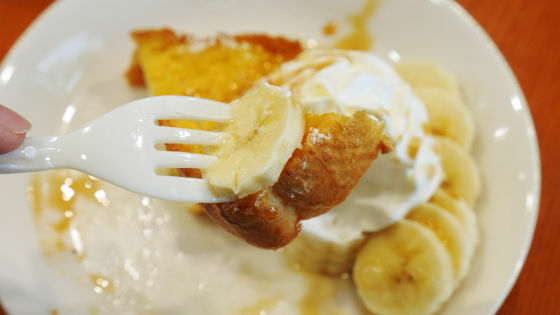 I thought, but since the banana is quite a volume, if you eat one dish you can be satisfied solidly. 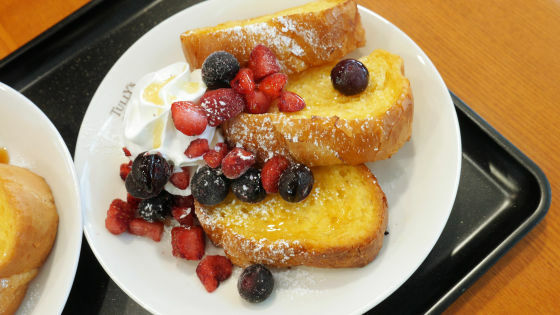 In addition, T's French toast Honey Double Berry is 830 yen including tax, T's French toast Maple Honey with Fresh Banana is sold at 680 yen including tax. I tried crispy & fluffy fried French toast with "R-FRITTERS"